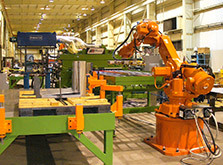 Atlas Technologies provides fully integrated robotic solutions for manufacturers in the Automotive, Appliance, HVAC, Aerospace, Defense and others industries. Some of the worlds most successful and competitive manufacturers are benefitting from an effective and reliable robotic solution. 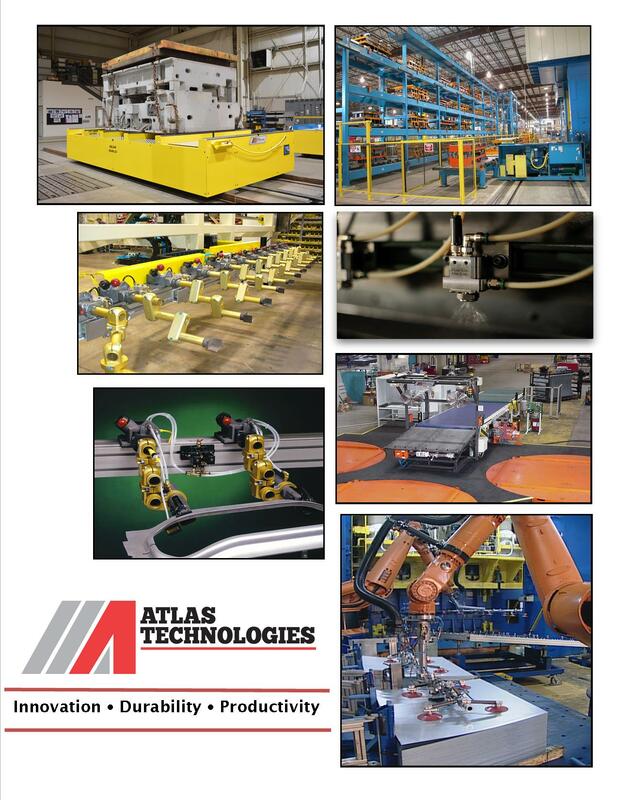 Atlas Technologies designs, builds and integrates robotic solutions using the best automation equipment on the market. 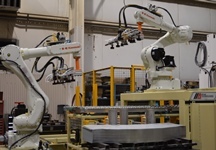 The engineered robotic solution will provide a seamless communication between the processing equipment and the automation to maximize a customers productivity at the beginning, middle or end of the line. Robotic Automation typically offs a lower cost, higher flexibility solution with the added benefit of a programmable pathway. Atlas is a single source provider with the ability to offer full systems design, fabrication, installation, commissioning and continued support. What ever your application calls for, Atlas will design the most efficient robotic solution to give you the flexibility and mobility to handle both complex and delicate work pieces efficiently and cost effectively.